People who have asthma are bound to use inhalers whenever they feel shortness of breath. Reaching out for the nebulizer for the patients is just like putting on glasses in the morning for common people if they have a vision problem. Nebulizers are the device for producing a spray of medicine present in liquid form to the patients with asthma. The patient as well as healthcare provider can choose from a variety of delivery systems for inhaling medicines. The delivery system consists of a nebulizer and a source for compressed air. When inhaled correctly then only they are beneficial. It is a kind of medical device that converts the liquid to mist or vapor so that it can be directly inhaled into the air tubes or lungs. How to combine all the elements of the nebulizer? 1. Place the compressor where it can get to its power source and you can see the On/Off switch. 2. Wash your hands before using it. 3. Use a clean nebulizer. 4. Keep in mind to have the correct dose of medication. 5. Connect the air tubing from compressor to the base of a nebulizer. 6. Attach the mouthpiece to the nebulizer. How to use the nebulizer? 1. Put the mouthpiece in your mouth between teeth and close your mouth with the mouthpiece inside. 2. Hold the nebulizer in an upright position. 3. This prevents spilling of the medication. 4. Continue the steps with constant nebulization. It is extremely useful for the children that just cannot use any other inhalation device. It is invaluable for old people who cannot handle other devices. Having it at home is a psychological support to the patient. Sometimes nebulizer works better than other inhaling devices. The cost of nebulizers is considerably higher as compared to other inhalers. In this, there are chances of infections taking place. A lot of medicine is wasted while the intake. Burning of bleeding of the nose. A Nebulizer is safe for babies. In Fact, mostly this treatment is common in babies, toddlers. They are used to treat the respiratory conditions. Babies are more vulnerable to pneumonia, breathing problems, in which case they will require the treatment. They can simply hold the mouthpiece between their teeth and get the medicine as much as they are prescribed to. How to clean the equipment? 3. Boil the nebulizer after taking the other parts out like a mask, tubing etc. 4. Shake off the excess water. 5. After it gets dried, combine all the parts for use. 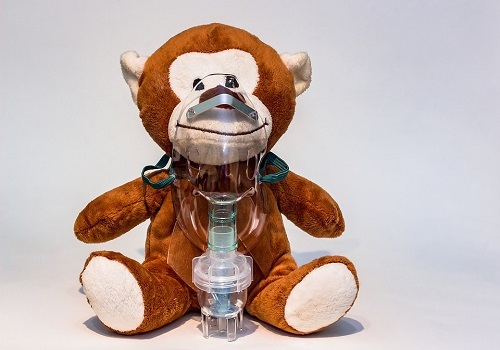 Nebulizers prevent respiratory problems from developing as well as treat acute breathing emergencies. Long-term medicines could help in reducing inflammation and mucus production in lungs that can block the normal oxygen flow. It is much better than other inhaler devices. What do you know of exercise induced asthma?